The aim of such attacks is to terrorise the population into submission. An investigation by journalist Jon Stephenson, broadcast on Maori Television on Monday, found that a raid on an Afghan village on August 22, 2010, involving New Zealand, US and Afghan soldiers, resulted in 21 casualties, all of them innocent civilians. According to the report—based on interviews with survivors, NGOs and Afghan government officials, and cell phone videos of the dead—six people were killed, including a three-year-old girl, and 15 were wounded. The night-time raid on the village of Tirgiran in Baghlan province was in retaliation for an insurgent attack on New Zealand soldiers in neighbouring Bamiyan province on August 4 that killed Lieutenant Tim O’Donnell. The US-led attack, which unleashed awesome firepower against an apparently defenceless village, was typical of the operations of the occupation forces. The war, which has lasted more than 12 years and caused tens of thousands of deaths, is a neo-colonial venture that faces widespread and entrenched opposition. The aim of such attacks is to terrorise the population into submission. US helicopter gunships repeatedly fired on houses and dropped off NZ SAS troops, who burst into people’s homes. According to a press statement at the time by the US-led International Security Assistance Force (ISAF), 12 “insurgents” were killed. But ISAF also said there was a “possibility” of civilian deaths because a helicopter gun “malfunction” led to soldiers shooting into the wrong building. The New York Times quoted district governor Mohammed Ismail two days after the raid, who said eight people had been killed, including two women and a child. Mohammad Iqbal, another farmer who still has shrapnel lodged in his back and is unable to work, claimed that nine of those wounded were women. Dr Abdul Rahman, one of the first people who arrived after the attack, showed Stephenson pictures of the dead and the wounded, and explained that he helped to bury a three-year-old girl named Fatima. Rahman provided a certificate issued by the former district governor, listing the names of the dead and wounded. 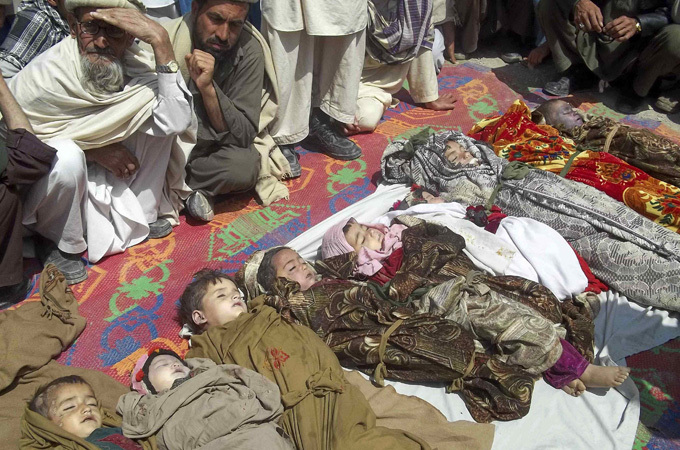 Stephenson noted that the United Nations and the Afghan Independent Human Rights Commission both acknowledged the civilian casualties in a 2011 report. He also stated: “SAS troopers who took part in the mission are concerned that civilians died there.” He said there were no claims that NZ troops had themselves killed civilians. Stephenson has been harassed and spied on by the government and the military for previous reports exposing the complicity of NZ forces in war crimes—including a May 2011 report that revealed NZ troops had handed over prisoners to US and Afghan authorities for torture. Last year the Sunday Star-Times revealed that the NZ military collaborated with US spy agencies to monitor Stephenson’s phone calls, and those of his associates, when he was in Afghanistan. A Defence Force manual leaked to the newspaper said “certain investigative journalists” should be regarded as a subversive “threat.” It said they could “obtain politically sensitive information” that could “bring the Government into disrepute” and called for “counter-intelligence” operations against them. In June 2011, Stephenson complained to police after allegedly receiving a death threat from a senior SAS officer at a Wellington bar. Police said they investigated but did not lay charges. It was the 1999-2008 Labour government, supported by the “left wing” Alliance Party, that first sent SAS commandos into Afghanistan in 2001. More than a hundred NZ soldiers remained in the country until April 2013. Ten of them died. Journalist Nicky Hager’s 2011 book Other People’s Wars revealed that intelligence agents from NZ’s Government Communications Security Bureau (GCSB) also worked throughout the war under US commanders, helping to select targets for assassination by ground troops or air strikes across Afghanistan and Pakistan. The Greens, who supported the main troop deployment to Afghanistan, have remained silent on Stephenson’s revelations. So has the Maori nationalist Mana Party and its electoral ally, the Internet Party. The coverup is driven by a definite agenda. Successive governments have strengthened military and intelligence ties with Washington, on which NZ’s ruling elite relies to conduct its own neo-colonial interests in the South Pacific. The report says between 224,000 and 258,000 people have died directly from warfare, with 125,000 of them civilians in Iraq.